Kerri Fargo is an accomplished channel and has been doing remote animal healing and animal communication for over 14 years. She can work with your animals via distance or can visit your animals in their own environments, be that home, or farm, by appointment. Animal communication can help the animal and it's companions to understand issues, behaviors, or situations, such as illness, risky behaviors, change in home life, or death. 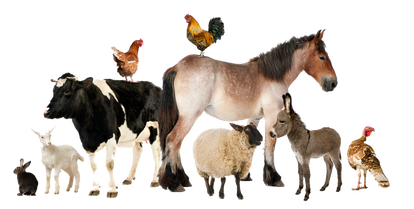 Animals come from the same Source as all of us, they carry the same but different energy sparks as human do. They have feelings, intelligence, concerns, and worries just like us, but they may not be able to communicate those concerns or feelings to those who love them. An animal communicator can help with this. Kerri is a gifted intuitive and healer and has been working with humans and their beloved animals for many years. She also teaches Animal Reiki and IET® For Pets. She is kind and respectful of both human and animal clients to help them better understand one another. In person rates are the same but may have a travel fee applied.